Finished! The socks have been sent off so I can finally blog about them. 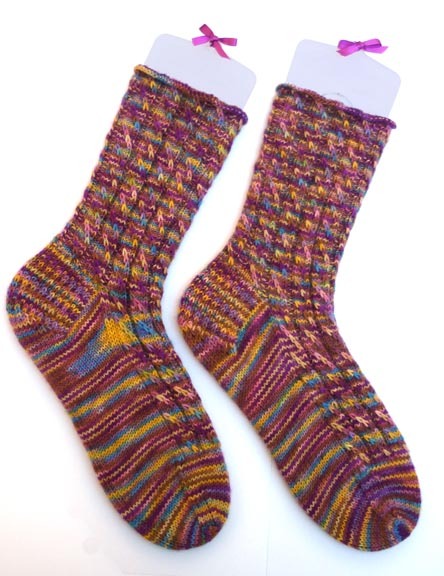 The color isn’t quite right, my sock pal asked for Autumn and yes, these are like Autumn…but on psychedelics. (this is what happens when you buy your yarn online) They took 1 month to complete. 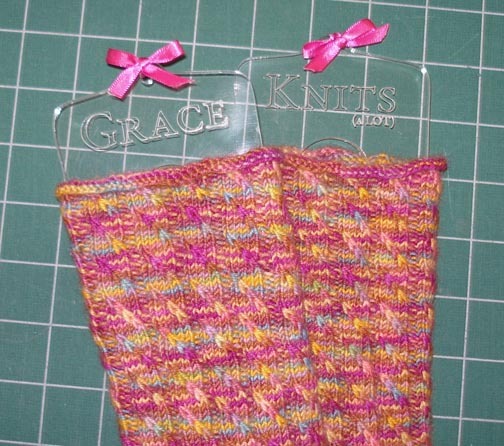 I also sent a set of sock blockers I made out of acrylic with her name and web slogan laser etched into them. I’d never made any before but I tried them out when blocking her sock, and they seem to work ok.